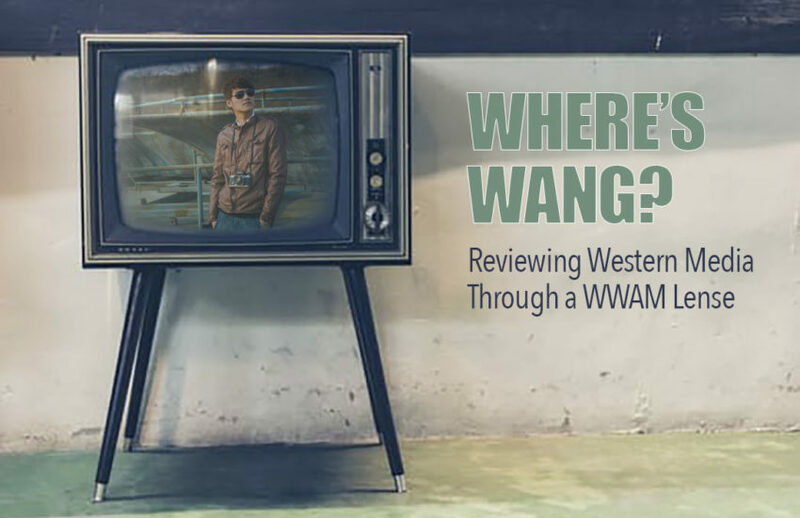 Where's Wang? - My Crazy Ex-Girlfriend's Josh Chan | WWAM Bam! While many shows get a lot of attention for Asian actors (or lack thereof), one show has slipped under the radar, and that’s My Crazy Ex-Girlfriend. Actually, the entire show has kinda slipped under the radar, which is a shame because it really brings up a lot of issues about women, feminism, sexuality, mental health and diversity in a funny/non-threatening way. But I’m here to talk about the portrayal of the Asian man in modern media, so I want to focus on Josh Chan, the guy to the “ex-girlfriend” in the title. Josh Chan (played by Vincent Rodriguez) is a Fillipino-American who is the steamy hunk of the show. If you just listened to the show, and never saw the characters, you would have no idea he was Asian. You would know he is handsome and buff, all his friends talk about it, and he gets several gorgeous girls throughout the series. You would also know that he’s a bit jockish, not very smart, but sweet if not a little immature. But his ethnicity is barely talked about, which is great. He’s not “the hot Asian guy” he’s just the hot guy who happens to be Asian. In one episode in which the main character, Rebecca, meets his family, she studies Filipino culture to prepare. But aside from that, the fact that they are Asian is incidental and never discussed. Which means, ya know, he’s a totally normal guy. His family regularly shows up in episodes and they are normal too, with normal family problems and situations. No over-the-top accents or FOB relatives who bumble around doing and saying stupid “Asian” things. Also, no one ever questions the (white) main character’s attraction to him. No one ever says, “Him? Really?! I’m just not into Asians” and not once is there a “small down there” joke. In fact, in his group of friends there is two guys name Josh, one the Asian, one a (also very hunky) white guy. In the show they joke they look alike, and one is nicknamed “white Josh” to separate them. Yes, it’s played up for laughs, but when has an Asian taken second billing to a white male? The more common take would be calling him “Asian Josh” and let the white guy take the name Josh. But this show doesn’t do that and neither Josh is upset about it. Rebecca and Josh in My Crazy Ex-Girlfriend. So, in My Crazy Ex-Girlfriend we have a hot lead, with a smokin’ body who gets all the girls, is a main character and happens to be Asian-American. If that ain’t progress I don’t know what is. So if you haven’t seen it, give it a shot. It’s on the CW (and Netflix) and it’s up in the air whether it will get renewed for a third season. But honestly, we need shows that show Asians as people, not as stereotypes, and this show not only fits the bill, but is fun to watch as well.